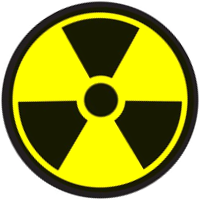 Nuclear Power is a method of energy generation. It uses nuclear fuel to produce heat, which is usually transformed into electricity. Nuclear power is considered the preferred energy source for most plans for medium- to long-term human expeditions to Mars. The generation of electricity from nuclear fuel does not depend on weather conditions so would be useful for maintaining a reliable source of power on Mars. Thorium is available on Mars in large deposits at Mid latitudes, this is the preferred fuel in Molten Salt Reactors particularly Liquid Fuel Thorium Reactors LFTRs. Molten Salt Energy Storage  is a process used in Concentrated Solar Thermal  that allows storing large amounts of heat energy in the form of high temperature molten salt. This reserve can be tapped for direct use in colony heating, Evaporative water purification, and Rodriguez Wells. In a Light Water Reactor, heat caused by the radioactivity boils water to steam. Turbines are driven by the steam's pressure, spinning a dynamo to generate electric energy. In a Molten Salt Reactor the heat generated from the core is redirected for use in Molten Salt Thermal Storage, structural heating, Stirling Generators to provide electricity, Evaporative Water Purification, and to melt water in RODWELLS. In a Heatpipe reactor a solid core generates heat that is transferred via "Heatpipe" technology to Stirling Generators with the option to transfer the heat tp Molten Salt Storage for further direct heat energy use or Stirling Generators or Supercritical CO2 Turbines at separate locations in the colony. Heating greenhouses and other buildings may be done indirectly by the heat of the nuclear fission. The heat can be transported in pipes from the reactor to the buildings. Heat exchangers avoid nuclear pollution of the buildings. Radioisotope thermoelectric generators (abbr. : RTG) are simple devices. They produce a heat difference, transformed by a thermocouple to electrical energy. The maintenance effort is low. However, RTGs do not provide enough power for a base. What sort of nuclear fuel is needed? How long can the described nuclear power stations work without replenishment of nuclear fuel? What is known about nuclear resources on Mars? ↑ Megawatt Level Heat-Pipe Reactors, Mcclure, Patrick Ray Poston, David Irvin Dasari, Venkateswara Rao Reid, Robert Stowers DESIGN OF MEGAWATT POWER LEVEL HEAT PIPE REACTORS , https://permalink.lanl.gov/object/tr?what=info:lanl-repo/lareport/LA-UR-15-28840, Nov 2015. ↑ Idaho National Labs, Dr. K.P Annath, Dr. Michael Kellar, Mr. James Werner, Dr James Sterbentz Portable Special Purpose Nuclear Reactor (2 MW) for Remote Operating Bases and Microgrids , https://ndiastorage.blob.core.usgovcloudapi.net/ndia/2017/power/Ananth19349.pdf, May 2017. ↑ NASA Kilopower Project, Dr. David Poston Small Nuclear Reactors for Mars - 21st Annual Mars Society Convention , https://www.youtube.com/watch?v=NLE5YFuCmhw, Sep 2018. ↑ Safety assessment of molten salt reactors in comparison with light water reactors, Badawy M.Elsheikh Safety assessment of molten salt reactors in comparison with light water reactors , https://www.sciencedirect.com/science/article/pii/S1687850713000101, Oct, 2013. ↑ How Molten Salt Reactors Might Spell a Nuclear Energy Revolution, Stephen Williams How Molten Salt Reactors Might Spell a Nuclear Energy Revolution , https://www.zmescience.com/ecology/what-is-molten-salt-reactor-424343/, Feb 2019. ↑ Map of Martian Thorium at Mid-Latitudes, JPL Map of Martian Thorium at Mid-Latitudes , https://www.jpl.nasa.gov/spaceimages/details.php?id=PIA04257, March 2003.